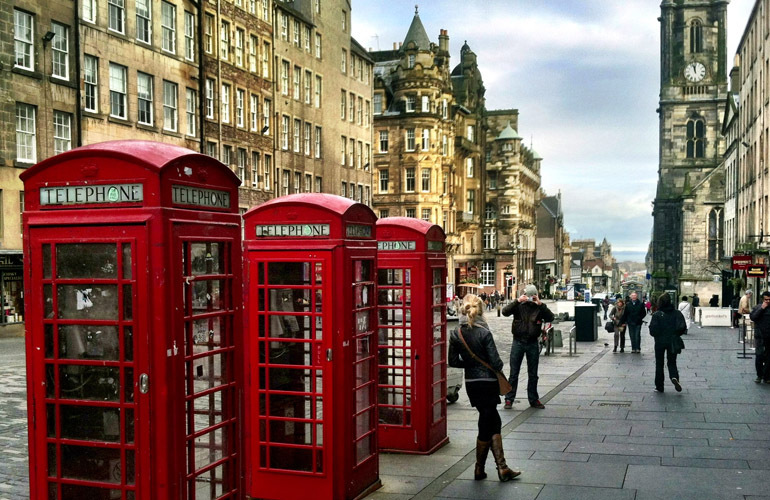 Edinburgh, Scotland, is home to The Royal Mile (pictured here) and five Michelin-starred restaurants. I’m leaving for Scotland in a couple of weeks. Any recommendations for great restaurants and bars (for the over-30 crowd, please!) in Edinburgh? Thanks! Faby, you’re in luck because Edinburgh has gone through a culinary boom lately. It’s now got five Michelin-starred restaurants—which is pretty impressive for a city of only 500,000 people. On top of that, 2014 is Scotland’s Year of Homecoming, so you’ll find several food and drink festivals on tap. To get an answer for you from someone who knows Edinburgh well, I reached out to Jonathan Epstein of Celebrated Experiences. As a first-rate travel planner for Scotland, he’s there frequently, road-testing not only the restaurants and pubs but also the hotels, car services, expert guides, etc. The secret to Edinburgh’s culinary success, he says, is the combination of innovative Scottish chefs and fresh local ingredients, from farm-to-table vegetables and fruit to excellent seafood, lamb, and Angus beef. Many restaurants are so in-demand that it can be very tough to get a table, but that’s where Jonathan wields his local connections on his travelers’ behalf, not only getting them reservations but getting them VIP’d. “Food tastes better when people are being extra nice to you,” he points out. Faby, if you can’t get to every one of these, you can always live vicariously by following Jonathan’s Instagram page. Does anyone have any other Edinburgh recommendations for Faby?